Let the clothes you wear be an extension of the personality you have, like this Drama Queen White Printed Poly Crepe Long Kurti a befitting piece from Snehal Creation for a bold girl. The main fabric carries a orange and black print of the white base and forms the main body. 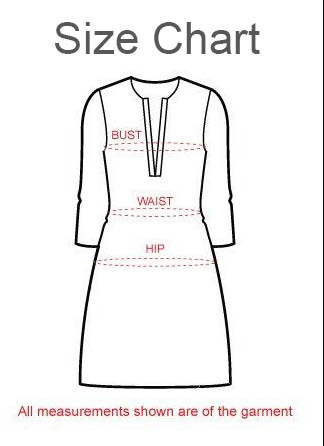 The shoulders region is made out of plain black fabric and the tunic has small sleeves.